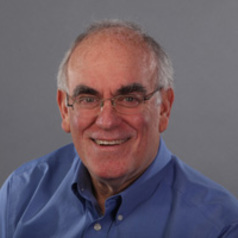 Charles E. Pascal is an internationally recognized educator with expertise in early and higher education, public policy, leadership/organizational development and strategic philanthropy. His 2009 seminal report to the Premier of Ontario-- With Our Best Future in Mind--is informing policy and practice in early child education within and outside of Canada. A former college president and Ontario deputy minister, Charles is currently Professor of Applied Psychology & Human Development at the /University of Toronto where he is coordinator of the PhD. Program in Early Learning. Charles and his teenage daughter, Tai Pascal Notar, have recently published their book, Too Far from Perfect: A Father-Daughter Conversation about Public Education. www.toofarfromperfect.com. He is currently writing a book on leadership, Confessions of a Public Servant: Hard Earned Leadership Lessons. Charles has a PhD. in Psychology (Michigan) and has received recognition from many organizations to date, including five honorary diplomas and doctorates. He was appointed a member of the Order of Canada in December of 2014. Website: www.charlespascal.com.